It’s now been nearly three years since James Cameron’s Avatar opened in theaters and proceeded to relocate a significant fraction of the world’s money into James Cameron’s secret money vault deep within the Mariana Trench. While the director has spent the intervening years tinkering with the Avatar sequels and acting like some sort of crazy, billionaire version of Jacques Cousteau, his presence is about to be back in the public eye again thanks to Titanic hitting Blu-ray and Avatar finally getting a 3D Blu-ray release here in the States. As part of this latest Cameron media offensive, Avatar producer Jon Landau has revealed a few new details on the upcoming sequels and whether we’ll ever get 3D conversions for Aliens and Terminator 2. 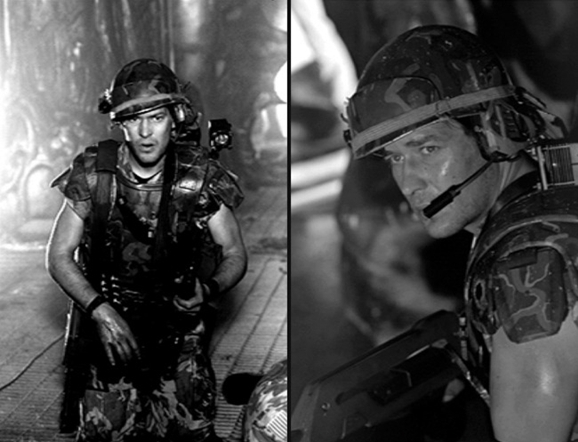 In 1986, James Cameron embarked on a mission to bring the sequel to Alien to life. It had been seven years since Ridley Scott terrified audiences with the first Alien film, and Cameron knew he had to do something different this time around. So he went into the production of Aliens with one thing in mind: creating the Alien Queen. With the help of visual effects genius Stan Winston, James Cameron expanded the Alien mythos and produced a movie that many consider to be one of the best science fiction films ever made. 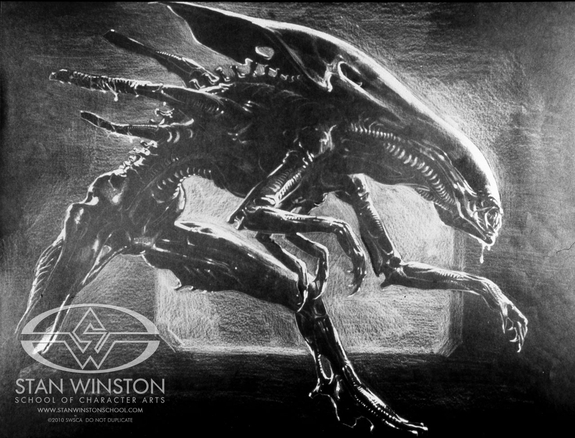 James Cameron’s concept art for the Alien Queen. Are you plagued by the sensation that your living room is missing that certain specific something? The single object that could, like The Dude’s rug, really bring the room together? 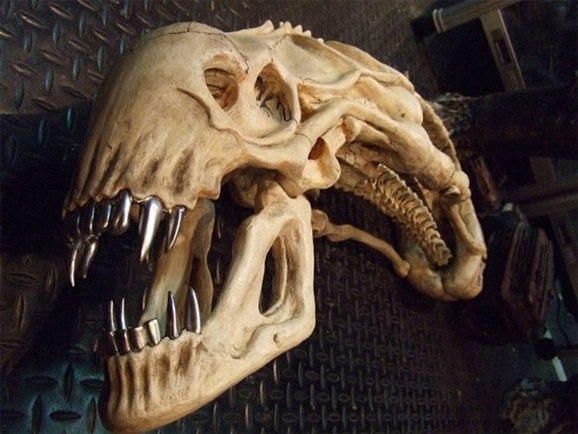 While I haven’t actually seen your living room, I’m going to go out on a limb and suggest that this custom-made Aliens xenomorph skull is what you’re looking for. Is this gonna be a stand-up fight, sir, or another bug hunt? Forget the harsh conditions of Mars and Jupiter’s frigid moons; the latest front-runner as a possible place to find alien life is Enceladus, a minuscule moon that orbits Saturn. With diameter of 310 miles, it’s little more than a glorified asteroid, but what it lacks in size, it makes up with geysers of liquid water, a mysterious inner source of heat, an atmosphere, and most incredibly—organic material. Scientists at Edinburgh University, the Imperial College London, and Nasa are bubbling over with excitement with what they believe may be a geothermal energy source akin to Earth’s deep sea vents that create the enormous plumes of water vapor, ice particles, and complex organic compounds that spurt up from a liquid underground ocean through cracks in Enceladus’s surface. The frontier for scientific knowledge is expanding at a phenomenal rate. It’s hard to believe that less than 20 years ago, there was no evidence of extra solar planets even existing and yet now we have confirmed the existence of 783 of them, with thousands more waiting on conclusive data. It’s this seemingly exponential growth of knowledge in the realm of astronomy that leads astrophysicist Jocelyn Bell Burnell to believe that we will find the answer to that all important question, “Are we alone?” some time this century. I do suspect we are going to get signs of life elsewhere, maybe even intelligent life, within the next century. How well prepared are we? Have we thought of how we approach them? Should we put them in a zoo, eat them, send in GIs to bring them democracy?